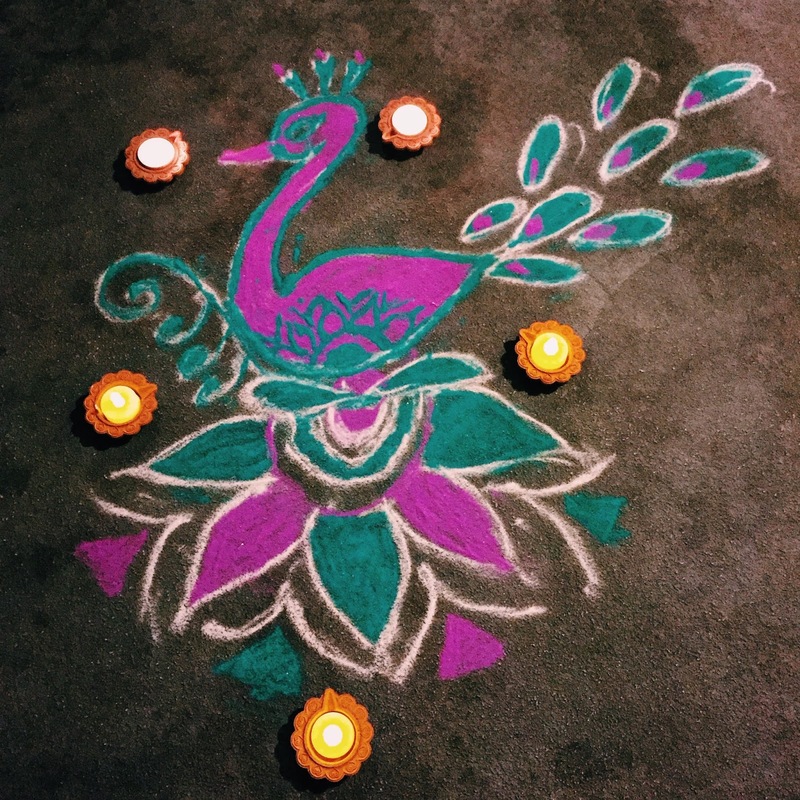 mixedbag November 12, 2015 June 26, 2016 11 Comments on Happy Diwali! 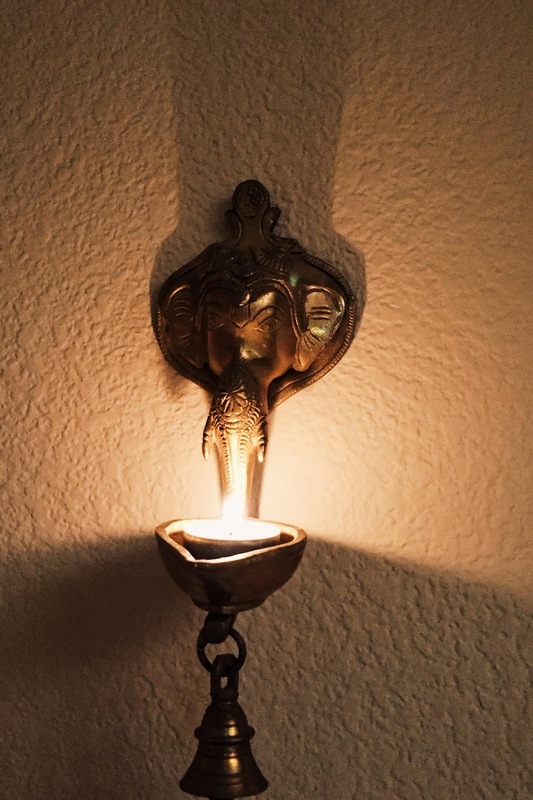 If there’s one time of the year when I terribly miss India, it is during Diwali. But this year, India came to me! My parents are here for the most festive time of the year 🙂 I feel really blessed and I’m desperately trying not to think about them leaving in December. It is obviously not working. But what did work is my attempt at making Rava Laddu! See for yourself. 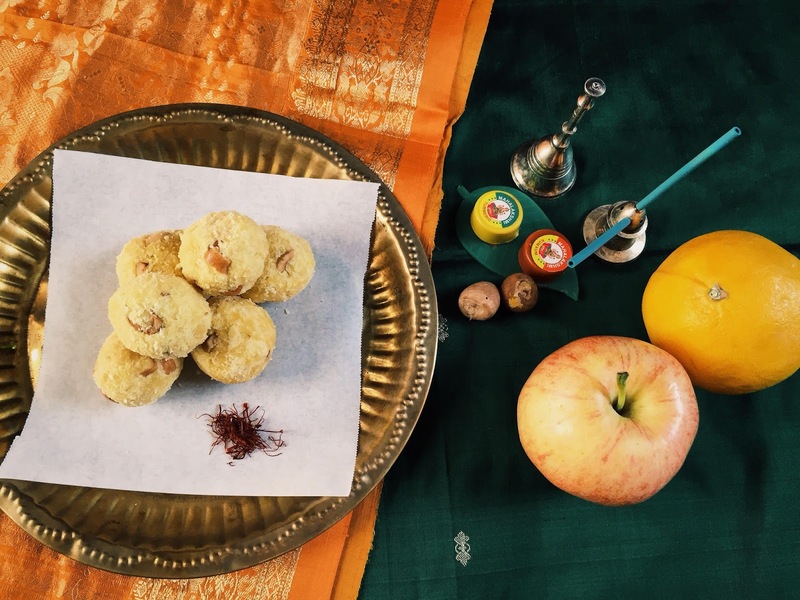 Rava Laddoos are sweet semolina and coconut balls flavored with saffron, cashews, raisins and cardamom. It is just as delicious as it sounds. My Rava Laddu recipe is adapted from Cooking at Home with Pedatha. It makes 21 small sized laddus. 1.Dry roast semolina for a minute or two. Mix it with the grated coconut and set aside for 1-2 hours. 2. Add 1/4 cup water to the 3/4 cup sugar and bring it to a boil. When the syrup starts boiling, take it off the flame and set aside. 3. Heat 1 tbsp ghee and fry the cashews until golden. In the same ghee, fry the raisins till they puff up. Set aside. 5. Off the flame, add this mixture to the sugar syrup. Add cashews, raisins, cardamom and saffron. 6. When the mixture cools slightly, make lemon-sized laddus with your palms. Store in an airtight container. And I hope you’re saying no to fireworks, because this.. I wish you all happiness on Diwali and always. Enjoy the festivities, folks! Hope you a great one! Happy Diwali to you and your family. Yummy rava laddu. Shubh Deepavali to your and yours!! 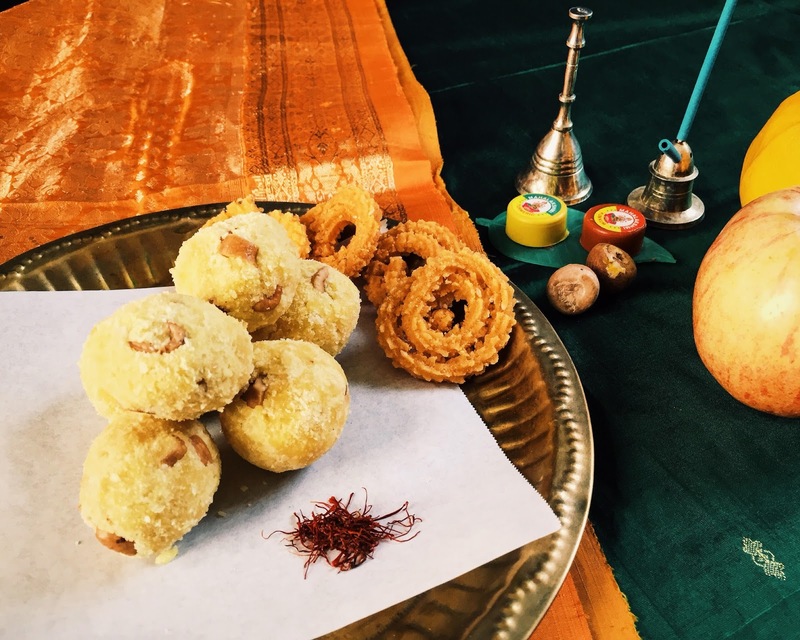 Wonderful post – Rava laddu is one of my favorites 🙂 ! 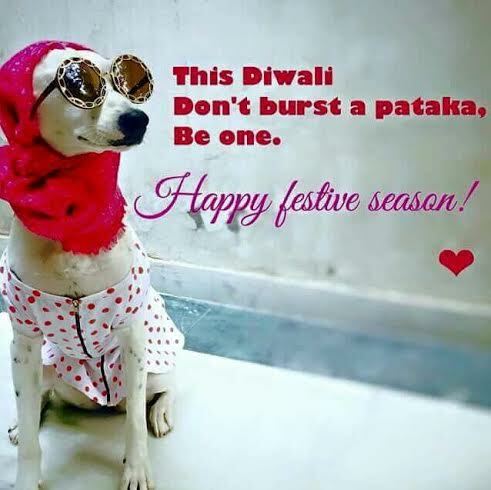 Belated happy Diwali and hope you had a wonderful time. Happy Diwali and best Wishes to you and your family! Thank you! Wish you the same.